New details from the first producer and director interview. The latest issue of Weekly Famitsu has the first interview with Super Robot Wars X producer Takanobu Terada and director Shinya Satake following its announcement yesterday. Since an original “other world” is the setting of Super Robot Wars X, the subtitle “X” was chosen given that it is “unknown,” as well as a crossover title. The idea behind making it a standalone entry is to make it easier for beginners to play. In Super Robot Wars V, we attempted the challenge of including Space Battleship Yamato, where robots do not appear, and it was popular among not only new users, but existing fans as well. In response to this, we decided to include Nadia: The Secret of Blue Water as a participating work this time. The new participating works were chosen taking into account information from surveys while in conference with developer B.B. Studio. This time, the robots and characters of various works are summoned to the other world of “Al Worth,” where the story will unfold. That said, the atmosphere is different from recent Super Robot Wars games. The extra actions, skill programs, and such from Super Robot Wars V have been further brushed up and adjusted to be even easier to play. New elements will also appear. 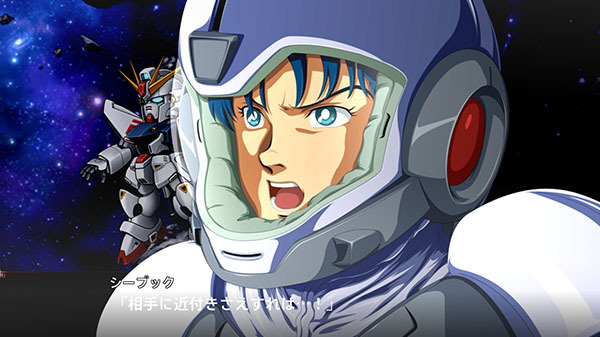 Since Mashin Hero Wataru has a unique atmosphere, it was difficult to make it fit in with the battle scenes of Super Robot Wars. Cybuster and Masaki will be the only guest participations. Super Robot Wars OG and Masou Kishin have no relation to the story of Super Robot Wars X. This time, Mazinger ZERO, Mazinkaiser, and Mazin Emperor will all appear as separate mecha. Super Robot Wars X is due out for PlayStation 4 and PS Vita in Japan on March 29, 2018, and in Southeast Asia with English subtitles on April 26.